"A Strong and Balanced Episode"
After a few uneven weeks, The Walking Dead returned to form with "Forget." It was a well-paced and structured hour, allowing us equal time with the show's three strongest characters, while giving us an intriguing look into Sasha's shattered psyche. Last week, it was clear that the triumvirate of Rick, Carol, and Daryl were ready to take control of Alexandria should the need arise - for good or for ill. But this week, the relationship between the three is much murkier (as evidenced by the gorgeous aerial shot of the three walking in separate directions near the close of the episode). It appears Daryl is much easier to tame than one might have thought at first glance - all it takes is a trip with Aaron to catch a symbolic wild horse to help bring him into the Alexandria fold (although, one might read something rather sinister into the death of the wild horse at the hands of the walkers). 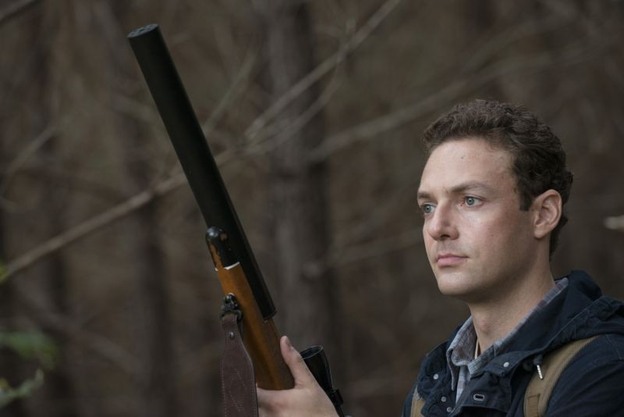 His refusal to take one of the stolen weapons is troubling, considering his close relationship with Carol and Rick. Speaking of Rick, he also appeared to be on the fence (literally, at the episode's close) regarding whether or not to accept Alexandria for what it is. He is, naturally, still wary that things are as good as they seem. But I was strangely relieved to see him take the second gun. On a show like The Walking Dead, complacency is the most dangerous thing that can happen to a character. And, as annoying as Rick can be, when Rick lets his guard down bad things happen. If Rick is still not sure of Alexandria, Carol is completely suspicious of the entire thing. Man, how chilling was the scene in which she threatened little Sam? Carol may think she's invisible, but I cannot imagine a situation where her conversation with Sam doesn't come out. And since it's already been proven that Alexandria is willing to banish people beyond their walls, things might be getting a whole lot worse for Carol before they get better. But the actions of Carol, Daryl, and Rick highlight something beyond character development in the face of this new uncertain situation for our characters. By showing us this three-tiered approach to assimilating into the world of Alexandria, The Walking Dead has managed to successfully pitch our heroes as the ones that might just be the bad guys. Think about it. 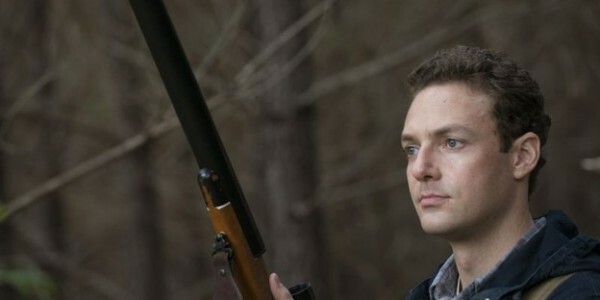 In the three episodes since we met Aaron, have we, as an audience, been given any reason not to trust him and the rest of the Alexandria gang? Sure, Jessie's husband Pete is a bit off, but I don't see him turning into a psychotic killer or anything. And Deanna is a bit tightly wound, but she's not sinister by any means. The Grimes Gang, on the whole, is accepting the situation in Alexandria at face value. 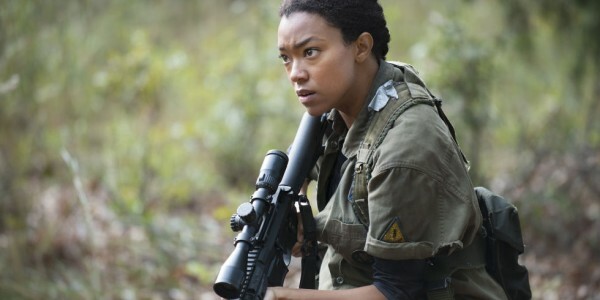 But our three outliers (I'll discuss Sasha's situation in a bit, as I don't see her falling into the same category as Rick, Carol, and Daryl) are prepping for a battle that might never come, while breaking rules and threatening small children (and I do not doubt for one second that this new and improved Carol wouldn't take drastic measures to save her family from harm). The question being asked in this episode is how far is too far to go in this new world. I cannot fault Rick and Carol for taking steps to protect those they love. They have been through too much to not prepare for the worst. But the Alexandria group is not a danger to them. And I cannot imagine Deanna not opening up the gun stores for Rick and company in the event of some horrible attack. In fact, they seem to allow people pretty liberal rights to walk into and out of the compound with weapons. While watching Carol threaten Sam, I actually began thinking that perhaps Rick and Carol were being a bit too paranoid. Do they really need additional weapons? Is it possible that Alexandria could get overrun so quickly by a force so large that they wouldn't be able to get to the armory to arm themselves? Sure, I guess. Is it likely? Probably not. So, what does that mean? For the first time in the series, the show has presented us with a situation where Rick might be wrong about something. And wrong to such a large degree that it might lead to serious negative consequences. We've never encountered a large group of outsiders that were wholly good and who wanted the best for our group. Here, it appears the Alexandria contingent are good, honest people (except for Ron- I don't trust Pete). And with Rick and Carol working against them, even in the name of future safety, it shades them in a negative light. It's a tricky set-up to pull off and can go wrong quickly (please, oh please, don't push Carol too far too fast into the realm of anti-Alexandria), but so far, it's a really interesting decision on the part of the writers. Having seen all we have, I can't fault Carol and Rick their paranoia. But, I'm not sure it's needed and that worries me. Finally, let's touch briefly on Sasha. She has, without a doubt, had the roughest stretch out of all the characters on the show. 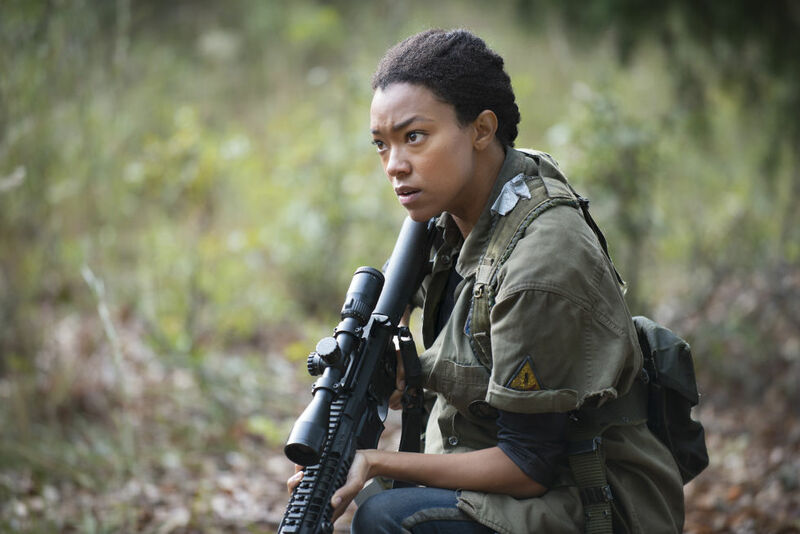 Losing Bob and Tyreese was hard on her and she has every right to be a bit damaged and hostile. And, considering all she's been through, I get that it's hard for her to trust people. But wow, she needs some help and she needs it fast. Normally, Rick would be able to see this coming a mile away and take some time to see about getting her through it. But Rick has been ensnared by Jessie's smile and is so focused on his own distrust of Alexandria that he seems to completely miss everything. Sasha has quickly gone from loner with a chip on her shoulder to a legitimate liability - both for Alexandria and for Rick's group. Someone needs to help her soon, or she might not be long for this world. Final Thoughts -- Seriously, Pete is going to turn out to be bad. I'm guessing abusive husband, but it could be much worse. 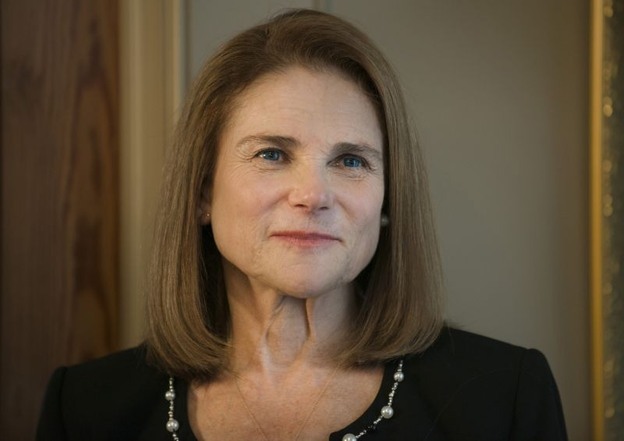 -- Deanna seems super competent. Her sons? Complete morons. -- Drunk Abraham is the best Abraham. -- I'm glad to see Daryl is making friends. Even if it is making him turn a bit soft. -- Did anyone else catch the street name behind Rick at the close of the episode? Morgan. Which reminds me, where is Morgan? Shouldn't he be rolling into Alexandria any day now? -- A zombie with a W carved into its head is definitely not a good thing to find. While it doesn't mean that there is some super awful group out in the woods just waiting to pounce, it doesn't mean that there isn't.